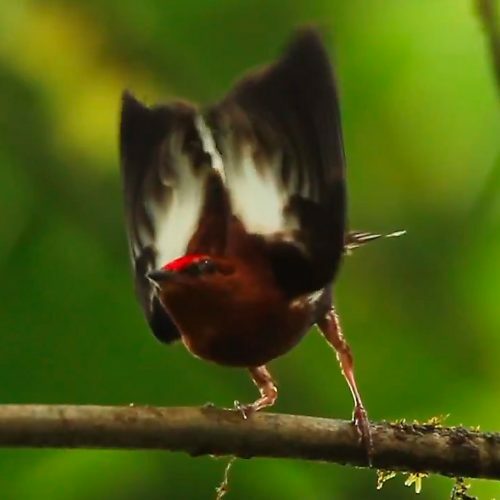 It turns out that as the Club-winged Manakin’s wings come together, each specialized pick feather slides over seven ridges on the adjacent comb feather. Next, the wings spread apart, and the picks slide back into place, passing over the same seven ridges a second time. 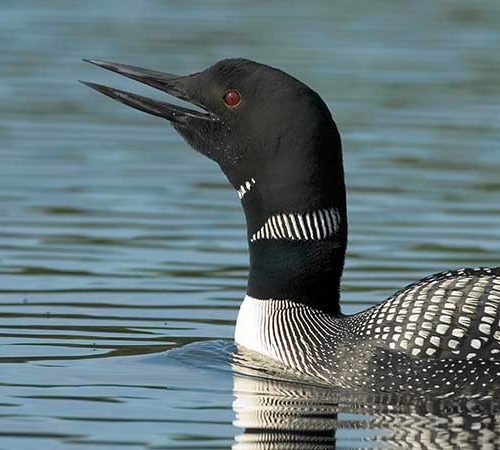 Thus, for each wing-knock, the pick feathers “pluck” that enlarged (fat) rachis 14 times. 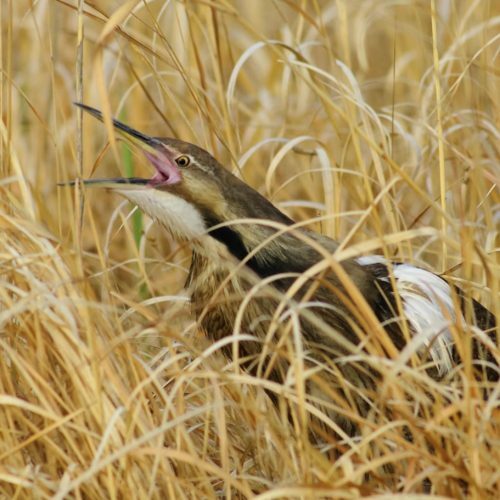 107 knocks per second with 14 “stridulation beats” for each knock produces a vibration in the feather shaft that makes the sound that we hear—a sound of approximately 1,500 beats per second (107 knocks/sec. x 14 stridulation beats/knock = 1,498 beats per second).